Dear Visitors, On behalf of the local commercial community, we would like to thank you for choosing to spend your holidays in our beautiful island. 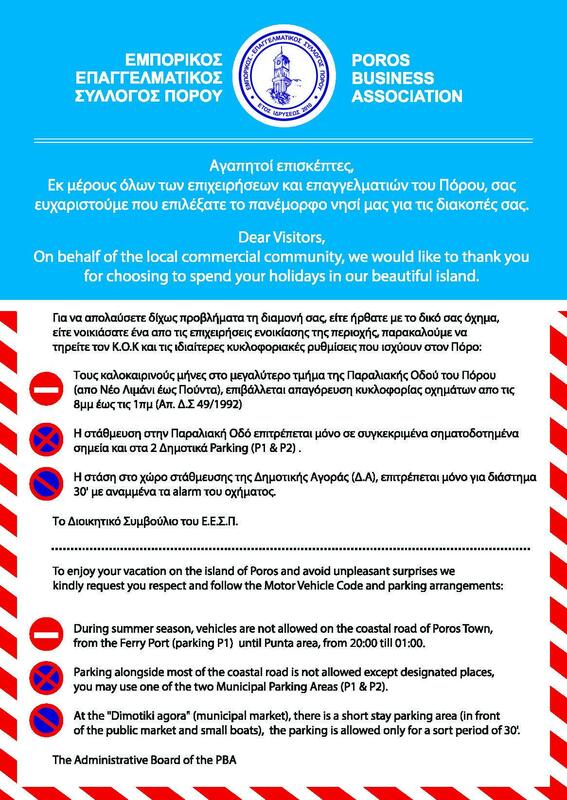 During summer season, vehicles are not allowed on the coastal road of Poros Town, from the Ferry Port (parking P1) until Punta area, from 20:00 till 01:00. 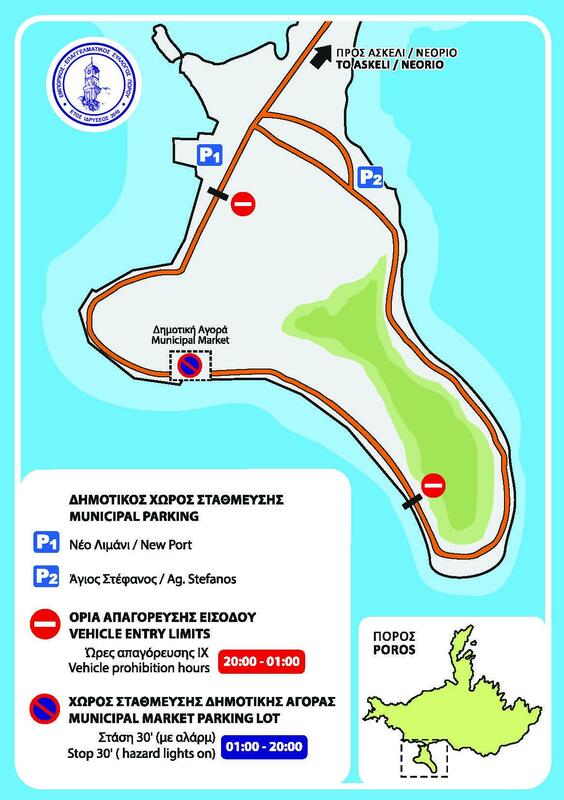 Parking alongside most of the coastal road is not allowed except designated places,you may use one of the two Municipal Parking Areas (P1 & P2).